At 8 a.m. in an eastern Washington elementary school gymnasium, Bill Griesar, Ph.D. ’01, is in a situation that would make anyone else sweat. 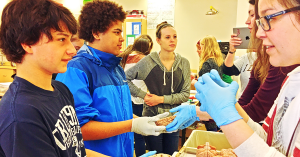 Dr. Griesar has brought his group of neuroscience outreach volunteers – undergraduate and graduate students hailing from OHSU, Portland State University and Washington State University Vancouver – to Davenport, Wash., to teach schoolchildren about brains and neuroscience. But he has just discovered that the pipe cleaners used to construct neuron models were nearly used up the day before. Unfazed, Dr. Griesar immediately concocts a new activity and somehow procures rolls of colored butcher paper from the school. Volunteers from NW Noggin rush to arrange paper on the floor to represent different lobes of the brain. Scott Jones, a fourth-year Ph.D. student in the OHSU School of Medicine’s Behavioral Neuroscience Graduate Program, tapes out an outline of a brain around the paper just as the first classes come into the gym. Dr. Griesar, simultaneously snapping photos, directing students and showing off a model brain, hasn’t stopped grinning. This isn’t the scene most people picture when thinking of the career of a traditional Ph.D. scientist, but, as Dr. Griesar asked, “What is the traditional career for a Ph.D.?” With the number of Ph.D. graduates who move on to a tenure-track faculty position dropping, graduates are branching out and exploring other career options, some of which offer more flexibility for working parents than traditional academia. Dr. Griesar and his husband adopted their oldest son, Dominic, at 14 months old when Dr. Griesar was in the middle of writing his dissertation. Somehow, Dr. Griesar found time to write, working during Dominic’s naps. “I’d write a little more while my friends held him and showed him around the lab,” he said. The day after Dr. Griesar defended, their second son, a four-month-old named Jack, joined their family. “Suddenly I had a doctoral degree and two young boys, so I was not about to take the so-called traditional route,” he said. Instead, he started teaching science as an adjunct at Portland State University and Washington State University Vancouver and fell in love with the classroom – or, in some cases – the gymnasium. In the gym at Davenport Elementary, students filter in and cluster around different pieces of paper. Dr. Griesar and NW Noggin volunteers explain that the kids are sitting on a brain. (Some take it literally and wrinkle their noses, looking under their feet.) After NW Noggin volunteers explain how brain functions are localized to specific lobes, students draw depictions of what their brain region does on the paper lobes in front of them. Other groups rotate through activity stations in the back of the room. NW Noggin targets groups of kids who might not otherwise get exposure to hands-on neuroscience. Davenport, population 1,700, is nestled in Washington’s wheat fields, far from the biomedical hubs of Seattle and Portland. More than half its students qualify for free or reduced meals. NW Noggin began as a conversation between Dr. Griesar and Jeff Leake. Leake, a Portland artist who also works at PSU and WSU Vancouver, and Dr. Griesar were trying to figure out what their children could do for the summer. 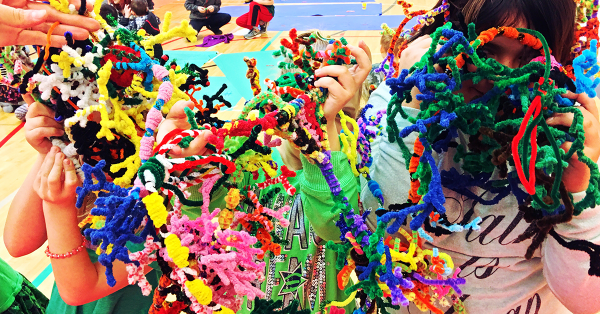 So they decided to start a volunteer-driven, art-infused neuroscience summer course for middle school students through Multnomah County’s Schools Uniting Neighborhoods program, or SUN. After planning lessons with students from their PSU and WSU Vancouver classes and using their own children as guinea pigs, Dr. Griesar and Leake found a successful combination. “No one in that summer SUN program had to attend, and yet we had middle school students back day after day to make art and dissect sheep brains and learn about college and graduate research directly from our volunteers,” said Dr. Griesar. 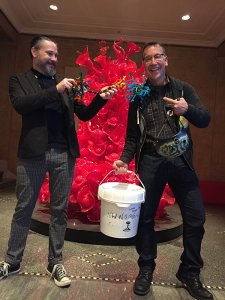 After seeing how popular art-influenced neuroscience outreach could be, Dr. Griesar and Leake formalized their effort and created the nonprofit Northwest Neuroscience Outreach Group: Growing in Networks, or NW Noggin. Marrying art and science is part of NW Noggin’s secret sauce. “Arts integration makes learning science personally relevant,” said Dr. Griesar. “It allows open-ended exploration of scientific concepts, and offers science teachers a broader palette from which they can differentiate their lessons,” added Leake. That successful combination exemplifies the national movement toward STEAM (science, technology, engineering, art and math) education, in which art and design are integrated into traditional STEM curricula. But models aren’t the only thing kids get to handle: NW Noggin events usually feature a real brain for students (and their teachers and parents) to handle. While the squeamish ones shy away, most kids don gloves, hold their noses and wonder at the folds and inner structures of the brains before allowing the next kids in line their turn. “We’ve definitely tested the longevity of our formalin-fixed specimens!” exclaimed Dr. Griesar. On a broader scale, NW Noggin has grown active in science policy. Last October, it was invited to participate in the White House Frontiers Conference in Pittsburgh, Pa., where President Barack Obama encouraged attendees to further U.S. innovation. Earlier in 2016, Dr. Griesar, Leake and a group of 26 volunteers traveled to Washington, D.C., to meet with the White House Office of Science & Technology Policy, congressional committees and caucuses. The group discussed why K-12 outreach efforts are important not only to encourage future scientists but also to stoke public appreciation for neuroscience and the value of federal research funding. This fall, NW Noggin hopes to take a larger volunteer group to D.C. to meet with legislators and visit local public schools. For more information about NW Noggin, including volunteer accounts and photos of previous outreach events, visit nwnoggin.org. 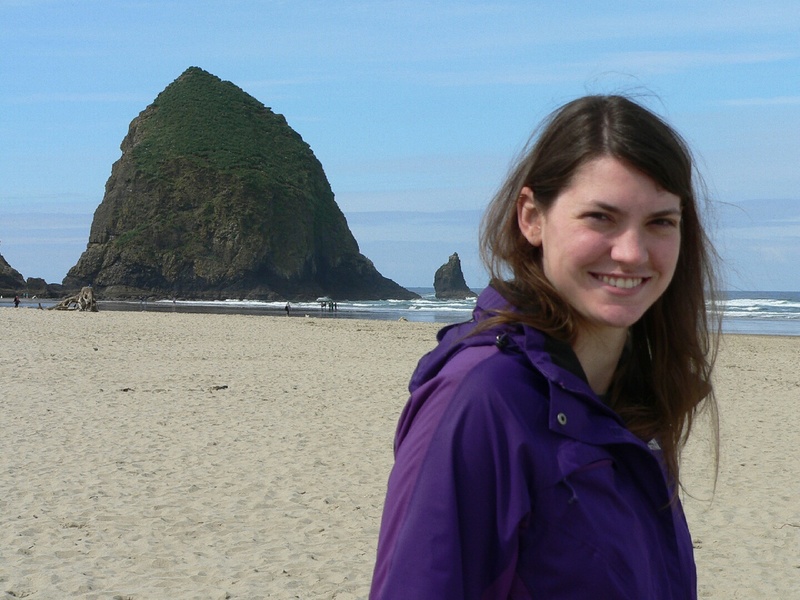 Rebecca Hood runs experiments as a fourth-year behavioral neuroscience Ph.D. student at OHSU, volunteers for NW Noggin and considers any weekend that includes a campfire a weekend well spent. 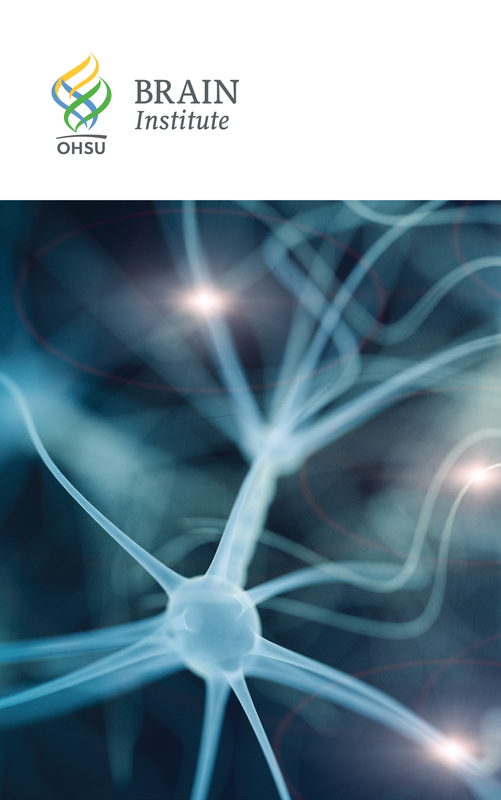 This article was originally published in Bridges, a magazine of people, connections and community for alumni of the OHSU School of Medicine.